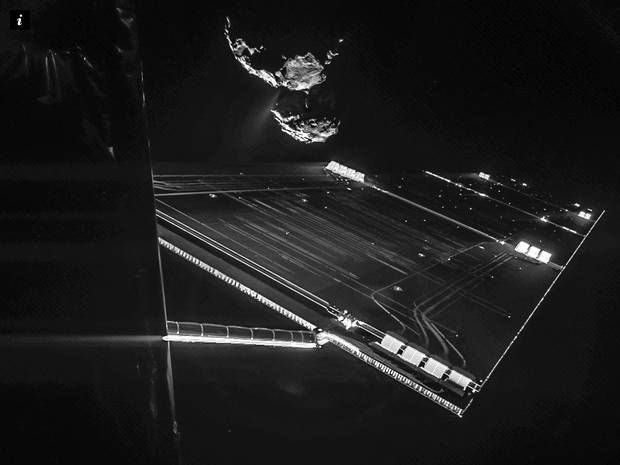 The Rosetta Landing | Words, By George! The scientists at the European Space Agency (ESA) faced a nervous wait this morning after it emerged that the history-making Philae probe landed not once but three times on a comet more than 300 million miles from Earth. Reports this morning however, suggest that the probe is now stable, even after magnetic field anlaysis from the craft reported three separate landings at 15:33, 17:26 and 17:33, suggesting a high initial bounce and second, smaller one. Stephan Ulamec, head of the lander operation, said last night that both the thrusters designed to push Philae down into the surface of the comet and the harpoons that should have anchored it failed – meaning the probe’s ability to conduct its series of unprecedented experiments was not guaranteed He confirmed that initial data relayed via Philae’s parent spacecraft Rosetta showed that the probe lifted off, turned and then came to rest. Ulamec then said the ESA team would have to wait until Thursday until they could find out more from the probe because Rosetta has moved out of radio contact. “Tomorrow morning we should know a lot more,” he said. 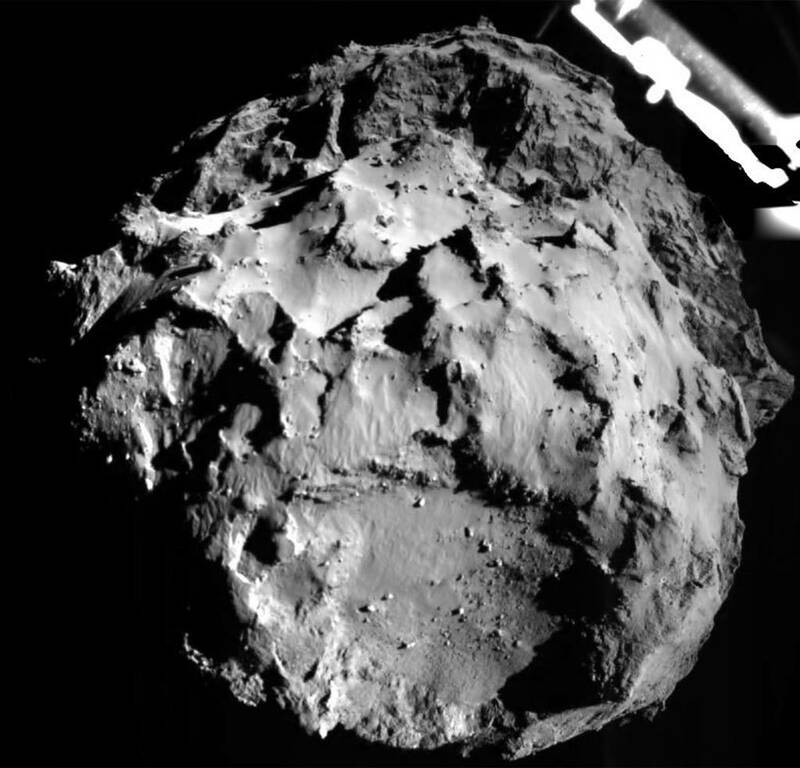 The fact that the 100kg (220 pound) probe descended some 4cm (1.5 inches) into the surface of the comet was also a concern, suggesting it had landed on a relatively soft top layer of dust. Now that it has been confirmed as stable, the Philae lander will travel with the comet as it continues its journey around the Sun. It should witness the plumes of vapourised gases emitted from the icy surface as the comet feels the rising heat of its orbital summer. And Dr Genge said that this journey, along with Rosetta’s readings from its orbit around the comet, could help answer fundamental questions about the origins of our planet. “Did comets deliver the building blocks of living things and start life on Earth? We may soon know with the help of Rosetta,” he said. Reblogged this on Brownhills Barry's Blog.